Blechschaden is Bavaria’s best export after beer and the football club Bayern München; the 11 brass players plus a percussionist from 6 different countries also refer to themselves as »the foreign legion of the Munich Philharmonic«. They are virtuosi to a man, always up for a lark and able to perform pièces de résistance effortlessly. Blechschaden is a mixture of the Last Night of the Proms and the New Year’s Concert in Vienna. 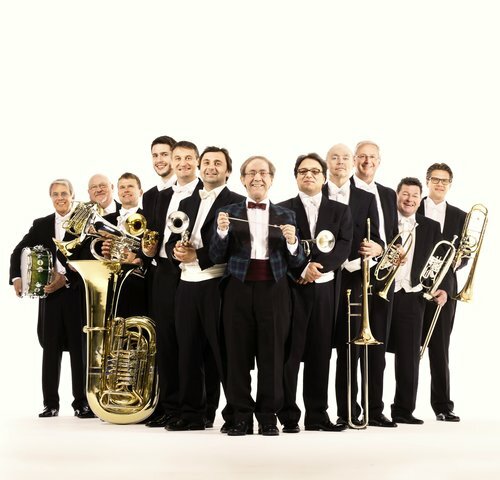 The band WorldBrass replaces Blechschaden and performs at 16:00 on 7 January in the Grand Hall. Tickets retain their validity, but may also be refunded from the online/ticket shop they were purchased.